Our class is called Admirals. Admirals are taught by Mr Chandler (class teacher) and supported by Miss Cattermole (teaching assistant). 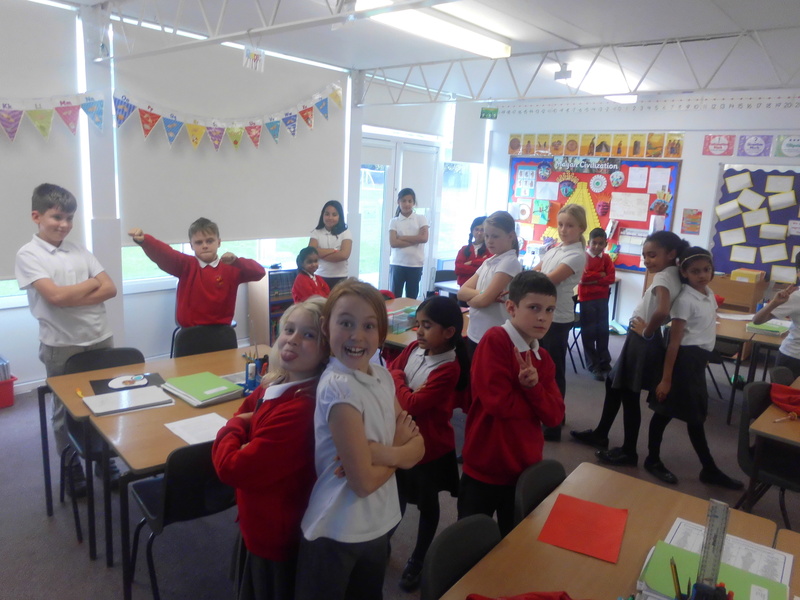 This fortnight, the class have been creating some imaginative stories about time travelling to the Victorian Era. We have continued to learn about the Victorians, during History, focusing on what school was like for Victorian children. They also wrote raps about the picture book 'Way Home', which everyone performed to the class to the tune of 'Fresh Prince of Bel-Air. In Maths, the children have been plotting co-ordinates on up to two quadrant grids. The class have been reflecting and translating various polygons using their co-ordinates. Thank you for everyone that attended the parent workshop on Monday. It was great seeing so many family members taking part in the a range of spelling games that we play in Admirals. The class also took part in various Easter activities this week, including creating Easter poems and making Easter baskets and chicks. Finally, the class assembly was a huge success and all of the children performed their lines and the sings fantastically. Well done to everyone! This week in Admirals, we have been thinking scientifically by planning an experiment to test the claim that Huggies are the best nappy. The class created a fair test, which they carried out and decided on a conclusion. To promote e-safety, we created posters, as well as everyone writing a pledge to make the internet a better place, which we used to create an e-safety display in our classroom. This week in literacy, the class researched a famous poet and deconstructed one of the poet's poems titled 'the Lady of Shalott'. We acted out each part of the poem in a drama based literacy lesson. The children will be writing their own haiku poems next week, which will be put on a display. 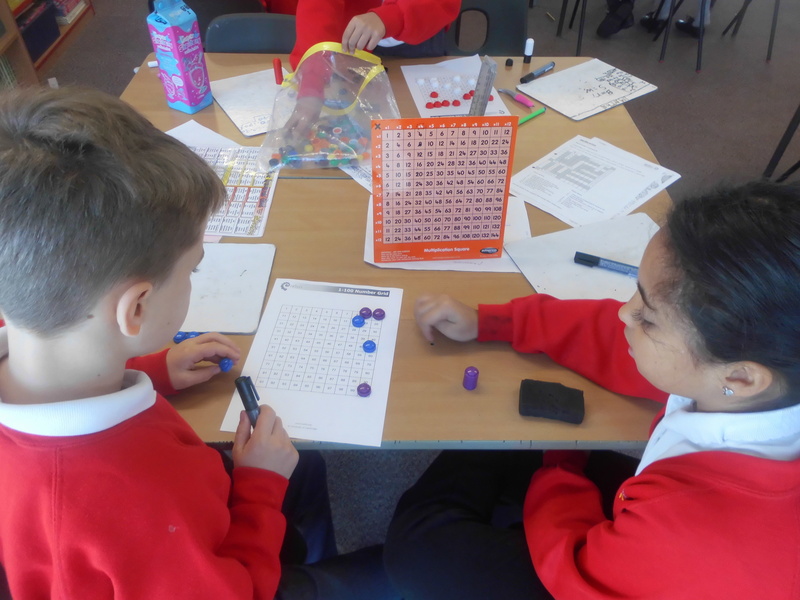 In maths, the children have been multiplying and dividing numbers with up to up to two decimals by 10, 100 and 1000. We have started our new topic which is rivers. Home learning projects have been given out and it would be appreciated if we can ensure at least three of those projects are completed this half term. The class have been designing their own boat, this week. Their task was to create the fastest boat to test the effects of water resistance. The boat designs had to be streamlined and able to float. We will be making the boats next week. In literacy, the class completed their newspaper reports about the mysterious winner of the Nottingham archery contest. In maths, we have been locating numbers on a number line, creating guidelines to follow to complete this successfully. In computing, we discussed the importance of passwords and the children created their own passwords, which they tested, to see how long it would take a computer to guess their password. Also, the children have started to practice singing the songs they will perform at the Christmas carol concert. In maths, the children have been measuring and drawing angles correctly, using a protractor. In literacy, the class have been creating a newspaper report about the mysterious disappearance of Robin Hood, after he won an archery contest. The class created a fair experiment to measure the effect of air resistance on a parachute. The children conducted each of their fair experiments and recorded their results in a table. Thank you to all of the parents who could attend our parent workshop on Monday. We hope you all enjoyed your time in the classroom and your support of the children's learning is very much appreciated. In the Admirals, the children have been hot seating as Robin Hood and created a character profile about him. 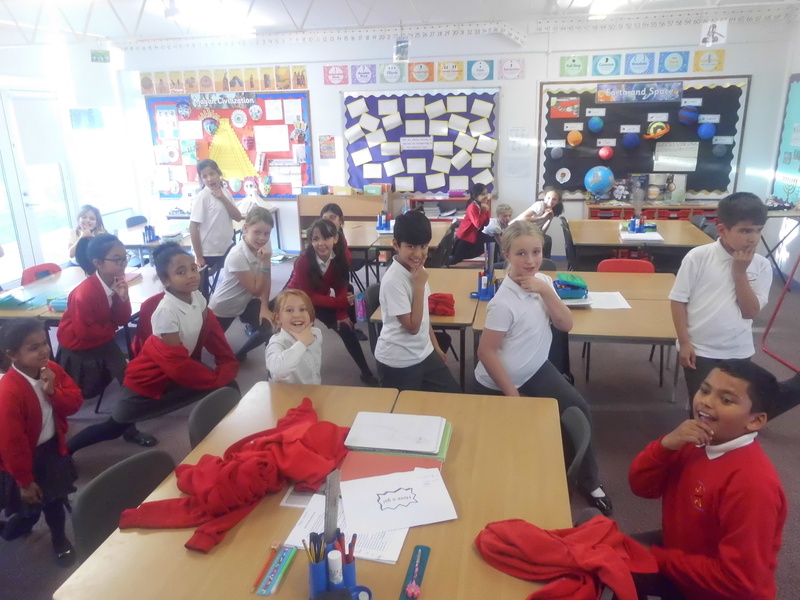 The class have been practicing division, learning and practicing a range of methods. For Anti-Bullying Week, the children have been focusing on each others good characteristics and sharing them with the class. They have created and Anti-Bullying Week display which the children will see everyday when they are hanging up their bags and coats. In Admirals, the children have been exploring the legend of Robin Hood. They have been analysing a range of versions of the legend, ranging from books, poems and the film. 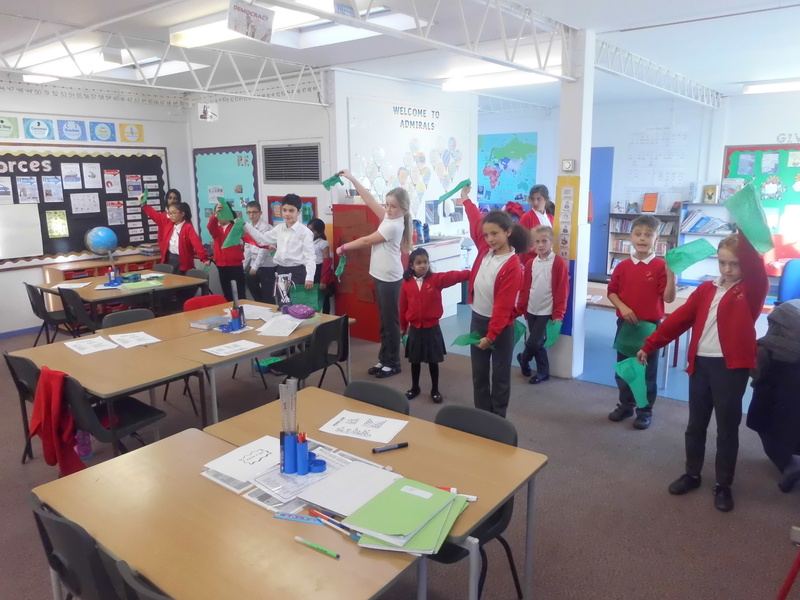 In computing, the children have been exploring a range of communication methods, such as semaphore and Morse code. 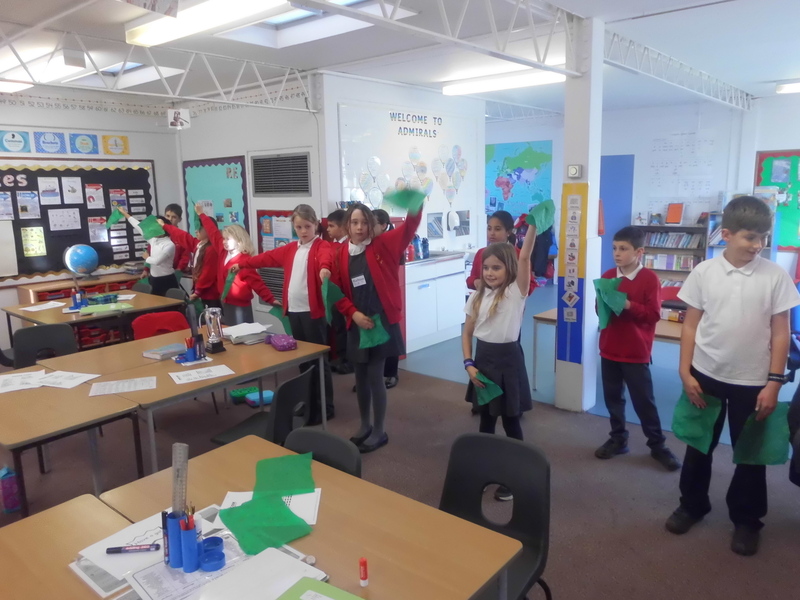 The children attempted to spell out a range of words to each other, using semaphore. A huge congratulations to all of Admirals for their fantastic performance during the class sharing assembly. A big thank you to all parents who managed to make it to the performance and for all the practice at home to prepare the children. The children have been researching, planning, writing and editing a biography about Steve Jobs in their literacy lessons. The class started learning about forces, in science, completing a range of actions and stating which forces where evident. We hope to see as many of you that can attend our class sharing assembly next Tuesday. The children have been working very hard to try and impress you all as much as possible! This week, Admirals have finished writing their adventure stories, as well as investigating the features of biographies. In maths, the children have been practicing a variety of subtraction methods, trying to select the most efficient method to use for each question. The children had a debate about what happened to the Maya civilisation in 900AD, looking at different theories and sharing opinions in a debate. In science, the children conducted interviews with each other, imagining they were astronauts. This week in Admirals, the children have been writing adventure stories during literacy. They have created characters, planned and written a structured story with the aim to entertain the reader. The children will share their stories with each other next week. 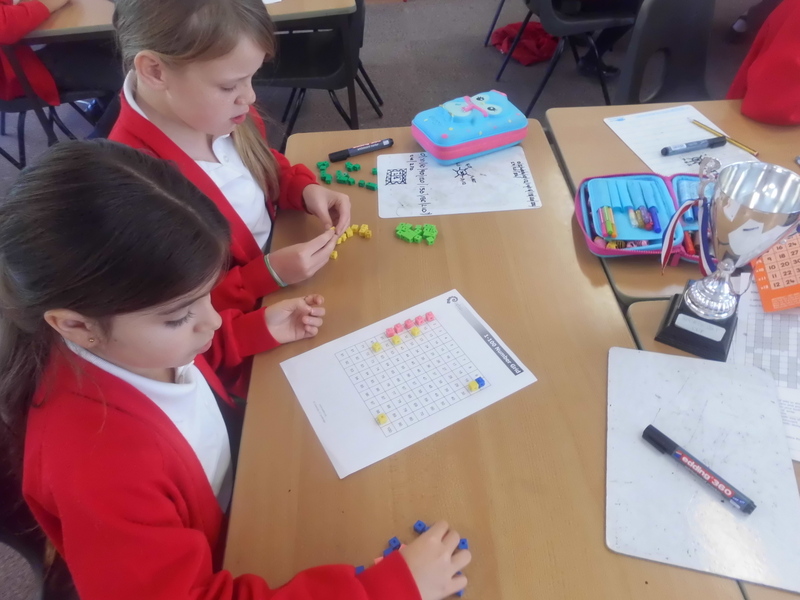 In maths, the children have been becoming experts as subtracting 3-digit and 4 digit numbers and selected the most efficient method when doing so. In history, the children completed their Maya masks and they each created an interesting travel leaflet about Chichen Itza. Thank you to all parents who attended the MacMillan Coffee Morning. The children have been created paper models, to show the movement of the moon in relation to the Earth and Sun. The children have been learning about the foods that were grown and eaten during the Maya civilisation. In literacy, the children planned, wrote and edited a guide to capturing a dragon. The children helped raise money for MacMillan Cancer Trust this week by baking scones and completed various activities to promote it, including making bunting and posters. Also, the children have been re-creating scenes from 'No Such thing as Dragons' and performed them. This week, Admirals have been writing and editing their poems about the sights they might see, travelling down a river. Some of their work will be on display in the school. In maths, the children have been learning about place value and using this knowledge to solve addition and subtraction questions. Also, the children have been practicing a range of methods for solving addition and subtraction questions, selecting the most efficient method to solve a range of questions. In computing, Admirals have began to explore creating a digital game and the features, such as background and characters, that they may include.